Honey - Are You Ready for a Change? In order to receive the full benefits of honey, it needs to be raw, unfiltered and local. It's amino acids and vitamin C speed the growth of healthy tissue. It's a natural source of energy. It enlivens the body, makes muscles stronger, refreshes nerves, cheers up, sharpens the mind, and gives sound sleep. Raw honey that has not been pasteurized, clarified, or filtered - provided it is of the highest organic quality - is your best choice. Look for honey that states “100% pure.” While regular honey is translucent, creamy honey is usually opaque and is made by adding finely crystallized honey back into liquid honey. Specialty honeys, made from the nectar of different flowers, such as thyme and lavender, are also available. Remember that the darker the color, the deeper the flavor. Before I list the curing properties of honey and cinnamon combination, it is extremely important to know the true cinnamon and distinguish it from cassia. True cinnamon is also known as Ceylon cinnamon. The fake or cassia type is toxic and is not recommended for medication or regular use. It is even banned in some countries. 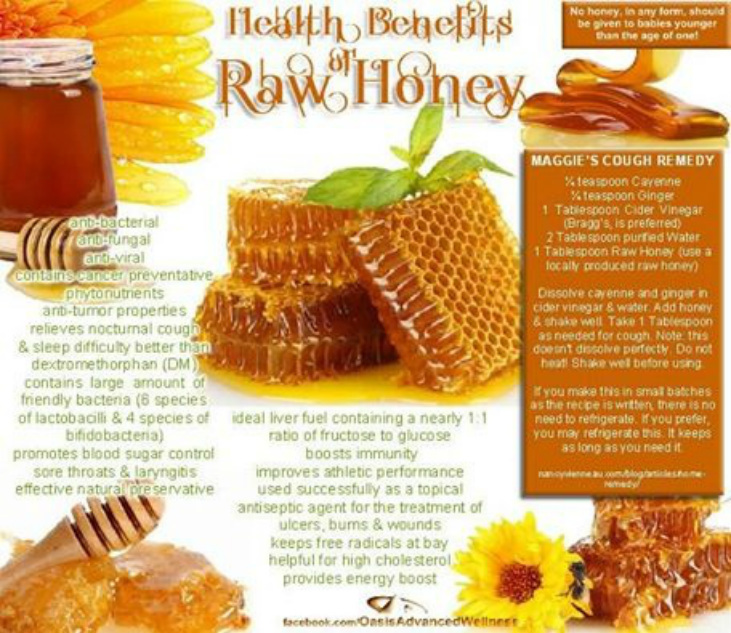 Honey and cinnamon can also taking by adding it your fruit juice, smoothie, ice cream, yogurt, coffee, bread, cereals etc.